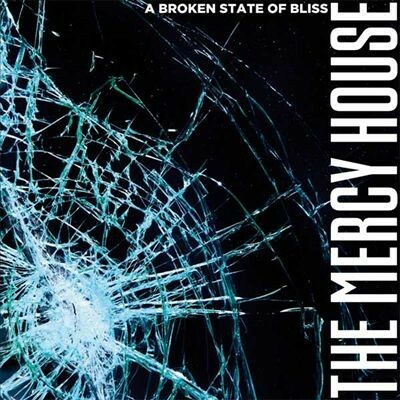 ‘A Broken State of Bliss’, the debut release from London rockers, The Mercy House very nearly didn`t happen as health issues almost derailed the band before they`d even got off the ground. Fortunately such obstacles were overcome with plenty of grit and determination and the end result is well worth the wait. Roping in industry big hitters Donald Clark (Guns n’ Roses, Muse) to mix the album and Mandy Parnell (The Prodigy, Depeche Mode) to master the disc is testament to the buzz that has been whipped up over the last couple of years and this investment in the album has paid huge dividends. With a huge riff-heavy foundation and one of the biggest, fattest bass sounds this side of Geezer Butler this is impressive stuff and very difficult to categorise. If you can imagine Alice In Chains clashing with Guns n’ Roses with a hint of the much missed Saigon Kick then you can start to get the picture. Following the short opening title track, ‘Greed’ kicks things off in big style with a big hulking riff that could bulldoze a tower block and this pretty much sets the tone for the album. The real strength of the album is its ability to meld granite hard riffs with some exquisite melodies combining killer songs with a multitude of twists and turns along the way. The brooding, sinister ‘Lead The Way’ and the piledriving ‘Hayt’ are real highlights but ‘Inversions’ is the albums crowning moment with its Queensryche like opening and towering, powerful guitar work making it quite possibly one of the finest songs of the year and that is glowing praise indeed. 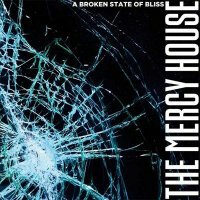 As a first album, ‘A Broken State of Bliss’ is a remarkable statement to herald The Mercy House`s entry into the big, wide world and it is an album that can undoubtedly hold its own against some of the bigger acts out there. There is plenty here to appeal to Rock and Metal fans across the board with its modern take on some classic themes. If The Mercy House can build on this promising debut there`ll be no holding them back and the big time beckons.